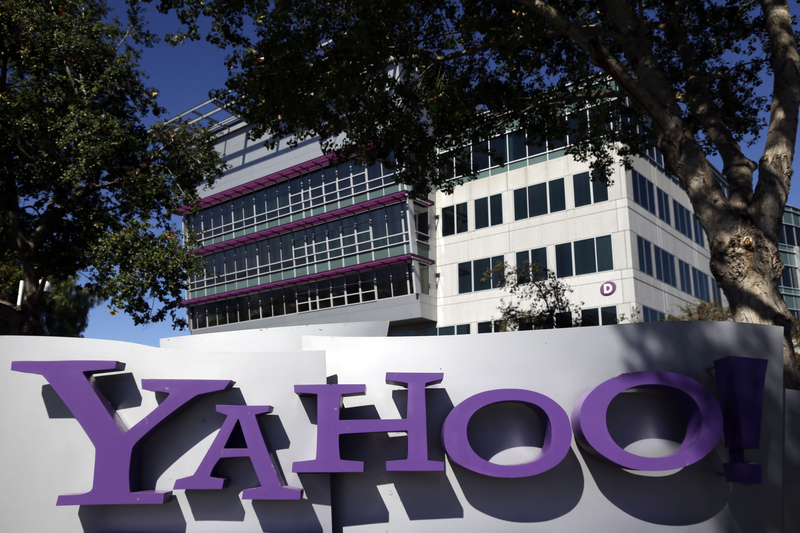 WASHINGTON - Yahoo said Thursday the government threatened to fine the company $250,000 a day if it did not comply with demands to go along with an expansion of U.S. surveillance by surrendering online information, a step the company regarded as unconstitutional. The outlines of Yahoo's secret and ultimately unsuccessful court fight against government surveillance emerged when a federal judge ordered the unsealing of some material about Yahoo's court challenge. In a statement, Yahoo said the government amended a law to demand user information from online services, prompting a challenge in 2007 during the George W. Bush administration. "Our challenge, and a later appeal in the case, did not succeed," Yahoo general counsel Ron Bell said in a statement. Russia says Edward Snowden can stay "a couple of years"
The new material about the case underscores "how we had to fight every step of the way to challenge the U.S. government's surveillance efforts," Bell added. "At one point, the U.S. government threatened the imposition of $250,000 in fines per day if we refused to comply." Bell said the Foreign Intelligence Surveillance Court upheld the predecessor to Section 702 of the FISA Amendments Act. Section 702 refers to the program called PRISM, which gave the government access to online communications by users of Yahoo. Former National Security Agency contractor Edward Snowden disclosed the program last year. Yahoo said it is committed to protecting users' data and that it will continue to contest requests and laws that it considers unlawful, unclear or overly broad. "We consider this an important win for transparency, and hope that these records help promote informed discussion about the relationship between privacy, due process and intelligence gathering," said Bell. According to documents from the court, the FISC ruled that there is a "foreign intelligence exception to the warrant requirement, and that the exception applied to surveillance conducted pursuant to the directive." Also, that the government has safeguards in place to ensure that Fourth Amendment rights would not be violated. As a result the court rejected Yahoo's Fourth Amendment challenges to the government's directives. Snowden: NSA programs "uncontrolled and dangerous"
The newly released documents show that the Bush administration was taking a hard line and was miffed that Yahoo had even been allowed to get into court with its complaint. In sum, the Foreign Intelligence Surveillance Court erred in permitting Yahoo to challenge the directives, said a court brief signed by then-U.S. Attorney General Michael Mukasey. Yahoo was arguing that what the Bush administration was doing violated the Fourth Amendment rights of customers of Yahoo. "The government has conducted warrantless foreign intelligence surveillance for decades, and such surveillance has been upheld under the Fourth Amendment by every appellate court to decide the question," Mukasey wrote. "The government's implementation of the Protect America Act is consistent with decades of past practice and adequately protects the privacy of U.S. persons," said Mukasey. In its court papers, Yahoo urged that the government be reined in. Yahoo requested that the Foreign Intelligence Surveillance Court of Review reverse the lower court's judgment and find that "the surveillance authorized by the directives is not 'otherwise lawful,'" wrote Marc Zwillinger, a lawyer representing the Internet service provider. Yahoo lost the battle in the surveillance review court. In a statement Thursday night, the Obama administration said it is "even more protective" of the rights of U.S. citizens than the law upheld by the review court. The American Civil Liberties Union said the case shows the need for more openness about government surveillance. "The secrecy that surrounds these court proceedings prevents the public from understanding our surveillance laws," said ACLU staff attorney Patrick Toomey. "Today's release only underscores the need for basic structural reforms to bring transparency to the NSA's surveillance activities."